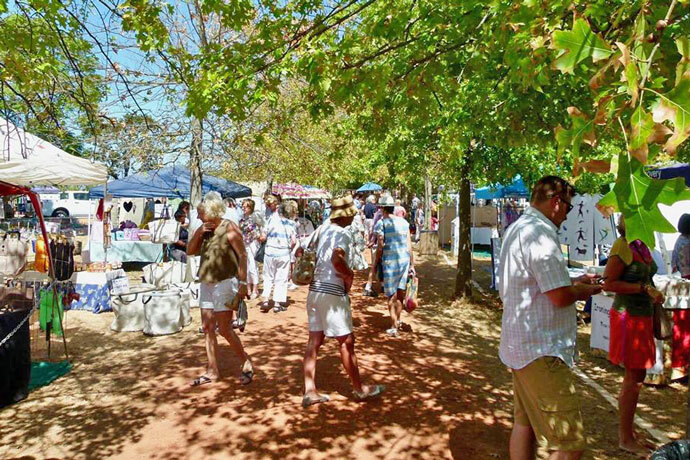 The Country Craft Market in Somerset West is an open-air market that has been promoting high-quality handcrafts for the last thirty years. Started in 1983 with just 17 crafters, and a mandate to provide a platform for genuine handcrafts, this market has grown in size to 180 stalls on market day, without any compromise on the quality of the crafts offered. A varied range of crafts is to be found to the delight of the many visitors to the market. Every year, near the end of each season (April-May), the market invites new traders to apply, and new crafters are selected to join the ranks. A selection committee of eight people, each specialists in various crafts, is tasked with selecting the very best to join the market. The Country Kitchen provides a welcome respite for hungry, thirsty or weary visitors. This area is mostly charity based, with Rotary clubs and Scout troops providing refreshments. Country Kids keeps the little ones occupied with a jumping castle, face-painting and sand-art. There is plenty of safe, free parking behind the venue. 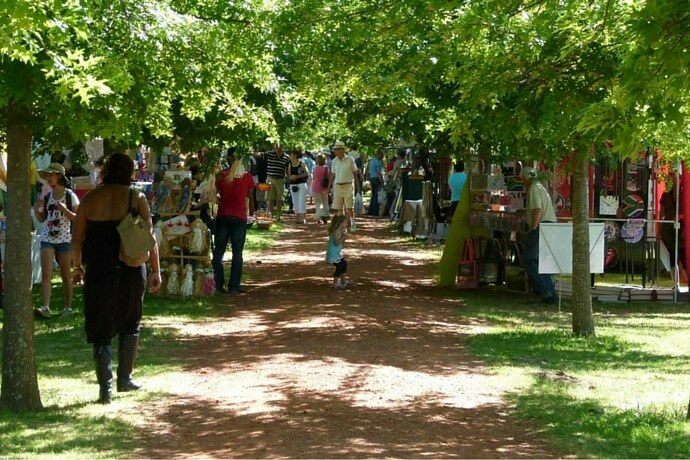 The Country Craft Market is open during the summer months, September to May, on the dates indicated to the right. December 7, 14, 16 & 21. Markets held on Saturdays except where otherwise indicated. Hi. I have published and printed Afrikaans children’s books for ages 5-10. Is the market a good place to sell books at R 15 or not? Will the market be open during May 2013? 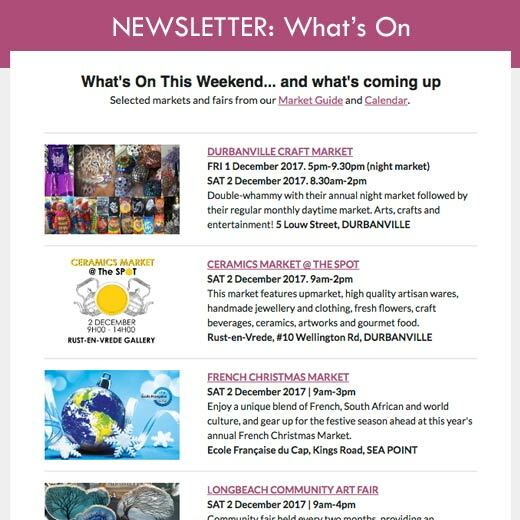 Hi, the Harfield Village Assocation, is having a fund raising event as a street Carnival, which has become very popular during the past years, and we have some stalls still available. Would like to enquire if you could share this with some of your stall holders like arts/crafts/jewellery/crystals/ etc. .